Democratic Gov. David Ige and Republican state Rep. Andria Tupola have agreed to a televised debate shortly before the general election, but Tupola wants Ige to commit to a “six-island debate.” Star-Advertiser. Commentary: Much to discuss in Constitutional Convention — if voters can muster hope and engagement. Star-Advertiser. State board to re-consider circus animal ban. A ban on bringing circus animals into the state heads to the Hawaii Board of Agriculture again. KITV. Effort to curb opioids alarms pain patients. The limits on prescription drugs are resulting in situations where many say their pain is not being controlled. Star-Advertiser. New Report Reveals Hawaii’s Not-So-Booming Economy. A declining population and weak increases in personal income have helped keep a lid on inflation in Honolulu, economists say. Civil Beat. North Shore homes are in danger from erosion and homeowners say the state isn’t doing enough to help. Star-Advertiser. Armed Drug Suspect Is Fourth Person Fatally Shot By HPD Since June. Officers were serving a search warrant inside a residential high-rise apartment when the shooting occurred. Civil Beat. Manoa Falls Trail to remain closed after dangerous rock slide. Friday afternoon, a 100-foot rock slide happened in the upper pool area sending debris and boulders crashing down to the Aikuilama Trail as well as the lower pool area of the main Manoa Falls Trail. Hawaii News Now. 4 foreign tourists cited for ignoring Manoa Falls Trail closure. The Department of Land and Natural Resources said four men were cited Sunday for allegedly attempting to enter the Manoa Falls Trail, which is currently closed due to hazardous conditions from a large landslide late last week. Hawaii News Now. Approximately 614,400 gallons of raw sewage overflowed in Waipio after a 48-inch force main broke Saturday night. Star-Advertiser. More than $65,000 raised in weekend fundraisers for Kapiolani Medical Center. The Ko Olina Children's Festival took place Saturday to benefit the Kapiolani Medical Center for Women & Children. Hawaii News Now. After 134 days of closure, Hawaii Volcanoes National Park reopened its gates to the public Saturday, with a flood of visitors and residents alike eager to see a park reborn. Tribune-Herald. On Saturday morning, the day of the highly anticipated reopening of Hawaii Volcanoes National Park, the National Park Service gave a media briefing, Public Affairs Specialist Jessica Ferracane spoke to media outside the Kilauea Visitor Center. Big Island Video News. You Need To Be Tough To Explore These New Volcanic Beaches. Kilauea volcano created a dramatic new landscape including black-sand beaches. But “it’s a rough walk” to get there. Civil Beat. Judge dismisses suit against Hu Honua, county. A judge granted Hu Honua Bioenergy’s request for a summary judgment in a civil suit that sought to halt construction of the 30-megawatt biomass power plant in Pepeekeo until an environmental review is completed. Tribune-Herald. Double-decker buses to hit the road. Hawaii County will soon have not one, but two, double-decker buses running between Hilo and South Kohala, County Council members learned last week. West Hawaii Today. The state Department of Health has notified the Mauna Loa Macadamia Nut Corporation of possible water violations in their water system, a company spokesperson said Saturday. Hawaii News Now. Lanric Hyland dies at 79: Ethics advocate pushed for housing rights, government accountability. West Hawaii Today. Finding farming matches for old cane fields not so simple. A&B official says scale, location, water among obstacles. Maui News. Na Puuwai sets new course for Lanai senior care. New partner Johns Hopkins School of Nursing takes over after Arcadia ends its collaboration. Maui News. Residents mull term limits for councilmembers. 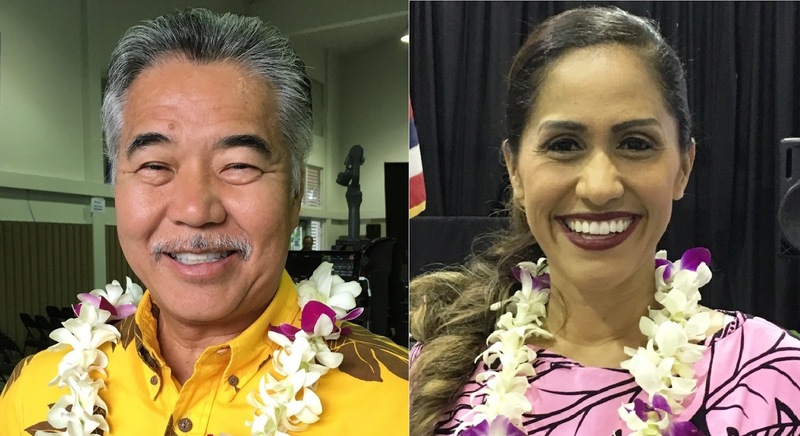 When Kauai voters head to the polls in November, they’ll be deciding on a charter amendment that could end term limits for members of the County Council. Garden Island. The public is invited to join Community Coalition Kauai on Monday for a mock County Council meeting as a way to get to know what the County Council candidates think about growth management and future land use for Kauai. Garden Island. Kapaa portable toilets haven’t been cleaned for 3 weeks. Garden Island.